Most age group triathletes, can only afford to train within two training windows during the day. 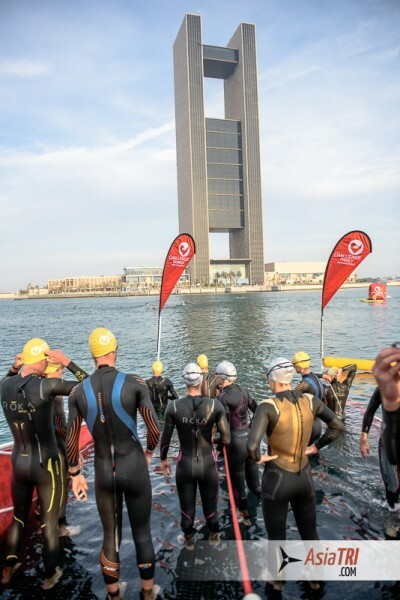 The typical routine of an amateur triathlete is a balance in between family, work and training, and the sessions are done mostly before or after office hours or quick workout on lunch break. While we’ve been bombarded with the ‘Carpe Diem’ way of living, that a routine is evil, and there is no replay in life, when it comes to triathlon training and we consider the physiology and psychology behind it, having a more loose and unstructured routine won’t make you a faster athlete, especially if you have several other commitments in your professional and social life. For age group athletes especially, improvement comes from focusing on each workout and applying a few basic interpretations of how you are feeling to potentially modify the training. Since The Method focuses on optimizing training and recovery efficiency, athletes can follow their routines and focus on just giving their best in the moment – knowing improvement follows from this commitment. Having a structured plan already removes doubt and anxiety from your preparations by giving you a road map to your goals. Knowing that your program is built upon highly successful principles builds confidence and allows you to approach your training with greater motivation and clarity of purpose. Another great benefit of being able to anticipate your training is to understand the swings in energy levels during the week, the time available and motivation for other activities. Once you have your memorized your training (that should happen very often! ), it becomes easier to schedule work or family activities and you can also time it with the time of the week that you find the most appropriate. For example if you know that certain day of the week makes you feel more energetic than others, that is a good day to schedule that meeting or presentation when you need to come out with your best professional side. Or if you know in advance that a few times a week you have a night off training, those are good days to schedule those late meetings that are often delayed to post office hours. Especially for age group athletes, a well-conceived training program is structured so that your periodization as the training year progresses does not interfere with carefully constructed routines and habits. For example, knowing that you will always run on a Wednesday evening, you can prepare yourself for your sessions well in advance. Only the type of run training will change over time as you transition into a different training phase – but you always have certainty about which sport you will be training that day. You don’t waste time or energy readjusting to new, haphazard sessions and reconfiguring weekly schedules. Coupled with the other principles, The Method’s repetitive approach helps athletes quickly and accurately gauge improvements from one week to the next. With The Method, athletes avoid engaging in inappropriately long race-level exertions or continual lactate threshold or VO2max testing. Instead, they track improvement week after week using their training splits. By looking forward to beating a previous best time in your next session, you focus concentration, increase motivation and bring your energies to bear on performing a training session to your best that day. What felt “hard” one month ago at a certain pace still feels “hard” – but at a faster pace, or for a longer sustained effort. This in turn builds confidence and turns the athlete’s attention to improvement with each and every session. As well, repetition enables true comparisons of efforts and effects of environmental changes. Knowing that the training prior to a comparison session are very similar from one week to the next, an athlete can better judge the impact of technique work, different nutrition or a new piece of equipment. For example, in one striking case an athlete coach dropped their 200m swim times from 4:05 to 3:28 in four weeks after incorporating a new piece of equipment into their training. Repetition also helps you learn to better gauge fatigue levels and how to respond to different types of fatigue in training. This in turn helps you better decide how to adapt your training, which in turn helps avoid inappropriate levels of exertion and increase training consistency. For example, over time you might come to differentiate the types of fatigue that stress, lack of sleep or poor nutrition might provoke and learn that the body might be capable of performing equally well on those days. This creates great confidence heading into a race because you know that you can push even if you feel less than ideal. Perceiving the patterns and workings of the body is an iterative process. The more often you repeat a cycle, the more you will come to learn and understand the vague patterns at work and to better interpret the signals you receive. This frees you to better focus on each workout and to schedule your rest more appropriately, when needed. Using a few simple guidelines, Method athletes learn to modify a training session based on the signals their body is giving them at the start of a session. This way rather than abandoning the training session, the athlete makes a slight compromise and alters the work to be done. Rather than missing a session entirely, the modified session reduces strain on the body, permitting recovery and maintaining consistency. Only a repetitive training process enables you to gauge the effectiveness of such a response. Knowing that you compromised a training session a certain way based on specific feedback from your body, and witnessing the effects of this several times across sports and sessions, you gain more confidence not only in your ability to accurately read your body but also in your ability to respond to its signals. In a nutshell, you increase training consistency without putting recovery needs on the line. Acquiring motor skills takes many repetitions of a specific motion to become “natural”: Just like the Karate Kid needed to repeat many times the “wax on, wax off” motion to lay the groundwork for acquiring more specific karate skills, as a triathlete you need to repeat many times specific swim, cycle and run motions if you want to ingrain these motor patterns and teach yourself more efficient form. When your body automatically performs a certain motion rather than as a result of conscious effort, you will have become a triathlon black belt! By repeating certain specific, pertinent training sessions, The Method enables you to better acquire new motor skills and improve existing, well-formed ones. Ever notice what happens to your swim technique if you don’t visit the pool regularly? Among other reasons, that quick loss of motor skills is precisely why The Method places a stronger emphasis on swimming than other training approaches. Particularly aging athletes need to train and especially swim consistently to maintain their hard-fought motor skills. By having you repeat certain specific training sets over many weeks, The Method trains you to better focus on what you are doing. Less distractions means you can concentrate on your training, automatically teach yourself mental skills that will help on race day. Rather than encouraging athletes to plod or shuffle through unfocused sessions, The Method encourages every athlete to focus their effort on form development at an appropriately adapted level of effort – aerobic conditioning happens anyway. Because The Method’s repetitive program removes uncertainty and random variables from your training, as an athlete you are better able to hone in on how you are performing a given training set compared to previous weeks. It sounded crazy at first, but to repeat the identical training set for a period of weeks meant that over time you come to better interpret the many signals your body sends out to tell you how it’s feeling. Rather than wondering if you’re feeling tired because the coach has changed the training session, you can remove that variable from your list of considerations. In this way you come to recognize the little “tricks” the body plays that can keep you from training as consistently as you would like. For example, what feels like fatigue can simply be lactate accumulation that we need to flush out of our system with some easy training before tackling the meat of the scheduled workout. A The Method athlete learns to interpret these signals over time and adapt his training to them. For example, once you’ve become accustomed to a certain treadmill running set and come to anticipate how it “should” feel on a good day, you can better respond to your performance on the days you feel “off.” Rather than worrying about what might be wrong, you learn over time that the body simply has “good days and bad days” and that sometimes you need to train through some of these less positive times. Over time, athletes who train with The Method develop a keen ability to literally feel how they are doing on any given day. Remember – controlling the variables takes the guesswork out of training. Rather than relying on empirical data that conveys only one aspect of an athlete’s training performance, The Method encourages athletes to develop a broad feel for the workings of their own body. Like life, training by The Method is a qualitative experience! That’s not to say that Method athletes do not use heart rate monitors or power meters to judge feedback. Rather, they place the information these tools provide them in context of a larger, more intuitive awareness of their training. Since most athletes don’t approach the state of fitness where these nuances come into play, The Method tends to come across as a simplified version of perceived exertion: Easy, moderate and very hard pretty much describes assigned effort levels. How do I go about setting up my own basic week? Step 1: Set your maximum sustainable budget when it comes to daily and weekly training hours. What are the hours on your week that are absolutely a no go for training? Other than the basic office hours, are time times in your week that you need to set aside for work or family commitments? Once these are ‘blocked’ from your training week, your coach will have all the other ‘available’ training opportunities and he will make the most out of them. This doesn’t necessarily means that you should be training all the time other than when you work or socialize, but it is important to provide a clear schedule on when is possible to train and when it isn’t. Once you have the ‘map’ of your base training week ready, it is time to add in the workouts to it. Your coach will build them in a way every training session should be complementing the training you have done the day before and what you will do the day after. Our typical example is making Monday or Tuesday training a strength or speed session that will mitigate the catabolic effect of a long training weekend. On the first two or three weeks of your training plan, make sure you pull back slightly on the intensity of your workouts, since this will help you to stay consistent to your training and being able to ‘learn’ what the week and each training session will feel like without the excessive fatigue that may hit you hard and disrupt your training. *If you feel better, try to do the scheduled session. *If you feel worse, pack in the session and head home. ADJUSTING A WORKOUT: If you are feeling tired and have gone out the door to “test drive” your body and you don’t feel better, but you don’t feel worse – aim to lightly stimulate the System you are meant to train that day. If for example the session calls for multiple repetitions of a longer duration at a high intensity,instead of stressing your aerobic system keep the intensity somewhat lower, and very short. Youcould opt to run multiple 20-second repeats instead of a session of 3-minute repeats, for example. This stimulates the fast twitch fibers and keeps that System engaged for the week, without undulystressing your aerobic system that may be indicating a bit of overload to you. Initially your training plan will have (or not!) scheduled rest days. As you progress into your program,however, you will notice that there are less and less scheduled Rest Days. circumstances demand it (such as a travel day, if you or family members are ill, and other life events as they occur). instead of when the plan says. No matter what anyone tells you, no training plan can predict themany factors in your life. If you really need a rest from training – take it! Likewise, if the plan has a rest day scheduled and you feel good and want to head out for an easytraining session – by all means do so! You’re getting fitter – enjoy it! IMPORTANT: In the final weeks of your program, however, make sure you follow the plan carefullyand take the suggested Rest Days. This ensures you are optimally rested for your Key Race. Step 5- Kick start it ASAP! One trend we see is that athletes often say they are too busy to start on a basic week or they are working on some project at work or at home and after so many weeks they will start with a structured plan, while this is understandable, dont be afraid to start with something very small, as there is no minimum training needed to already start to get the benefits from both learning how to train consistently and also the physical and mental benefits of following our training approach.